It’s been an interesting month, both for myself as well as for some close friends of mine. Life can be hard hitting at times. Loss can be brutally painful for all of us; whether that’s loss of a relationship, a job, or because we can’t seem to get our lives going in the direction we want, an abusive background, etc. However, whatever you’re coming out of, you have a choice. You have the choice to ask for help if you need it. I know some of us prefer to go through the process on our own and yet there are times when the next step towards healing is confrontational and painful. It can be lonely and confusing, and having someone to hold your hand, offer a shoulder to cry on can make the difference. Sometimes, we need someone to hold up a mirror for you and to help you see clearly. Yes, mourn and grieve for what was and what could have been, but at some point, realise that you need to move on. In order to do that, you need to let go; let go of the pain, the stuff that’s happened and step forwards with courage. 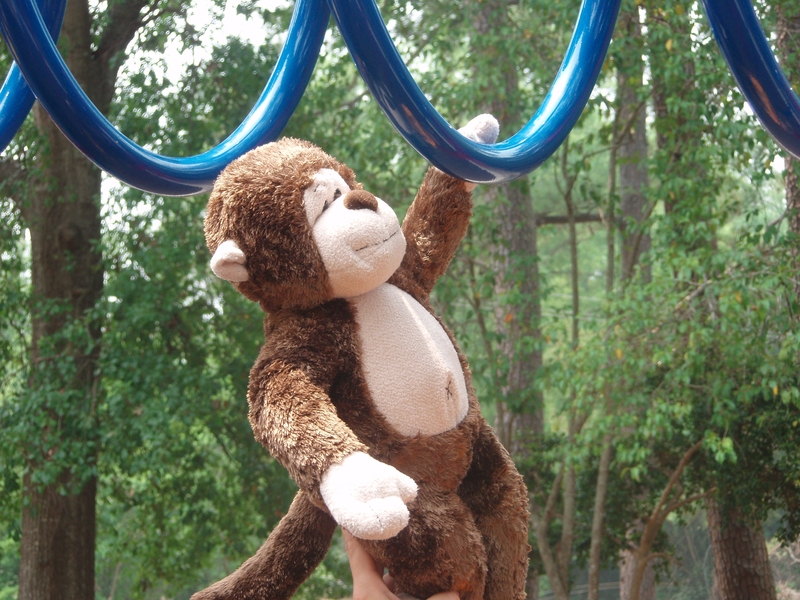 Getting over a painful experience is much like crossing monkey bars; letting go in order to move forwards. Holding on burns your hands and stops you reaching our for love. Whatever has happened in your past, you have the choice to carry on living in fear, bitter and full or rage, or let go and do the brave thing. To make yourself vulnerable in that space between one rung and the other. You’ve got to use all your strength, hope and courage to propel yourself forward and reach out with your open hand and heart for that bar in front of you that’s full of promise and something new. It is possible that you might do all that and slip off the bar and land on your face. In that case, get back up again and start over. Keep reaching, keep trying and eventually the way will become clear. The bars become rather fun.